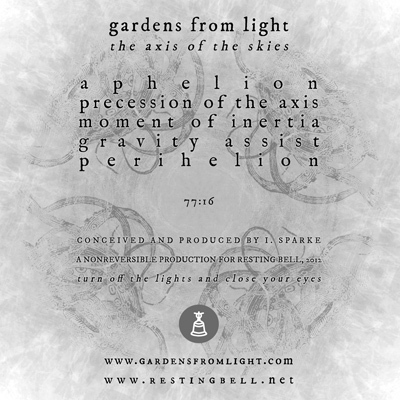 Gardens From Light have been part of the Resting Bell family since their first release in 2007, “Birds Of Joy And Sorrow”. 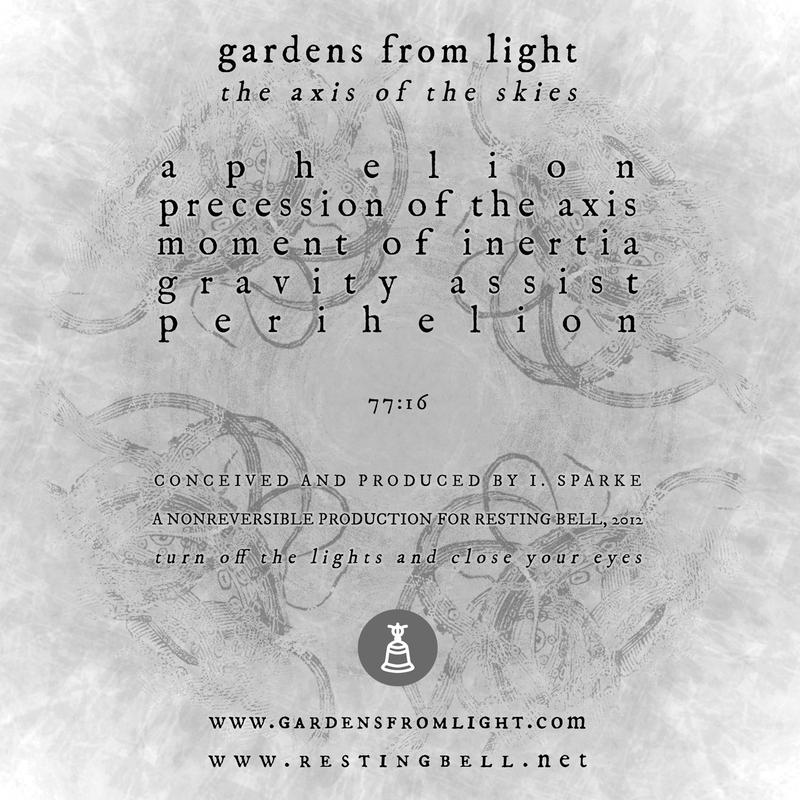 It’s been four and a half years since that colossal debut, and following a protracted genesis, the new one-man version of Gardens From Light brings us “The Axis Of The Skies”. “The Axis Of The Skies” is a huge 77-minute piece, loosely inspired by the H.P. Lovecraft story Polaris. It is designed to evoke a feeling of drifting in and out of a dream world, whilst simultaneously floating through space towards a dying star. It is divided into 5 pieces but is best enjoyed as a single long-form piece. If you take a listen, you’ll drift into a massive world of sound. 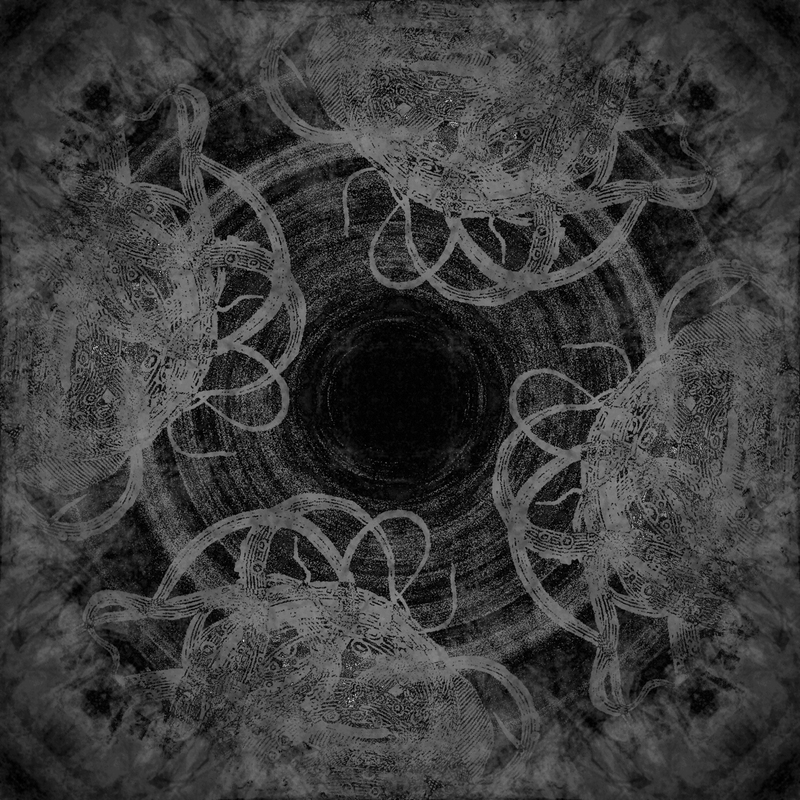 Sparkling melodies; dark, droning environments and GFL’s trademark use of field recordings are all there, changing around and guiding you through this journey. The climax of the piece is the fourth section, “Gravity Assist”, with its slowly-evolving, harshly distorted parts changing to a very subtle and quiet passage leading into the final part of the work. As ever, I can recommend to listen to this piece with headphones and with much time in the pocket. Welcome back, Gardens From Light – and thanks a lot for this exceptional work.